Bridget the Bunny loves Paris. Here she is admiring "la Tour Eiffel" in Paris. Bridget is a true romantic at heart and loves the atmosphere of the "City of Love". 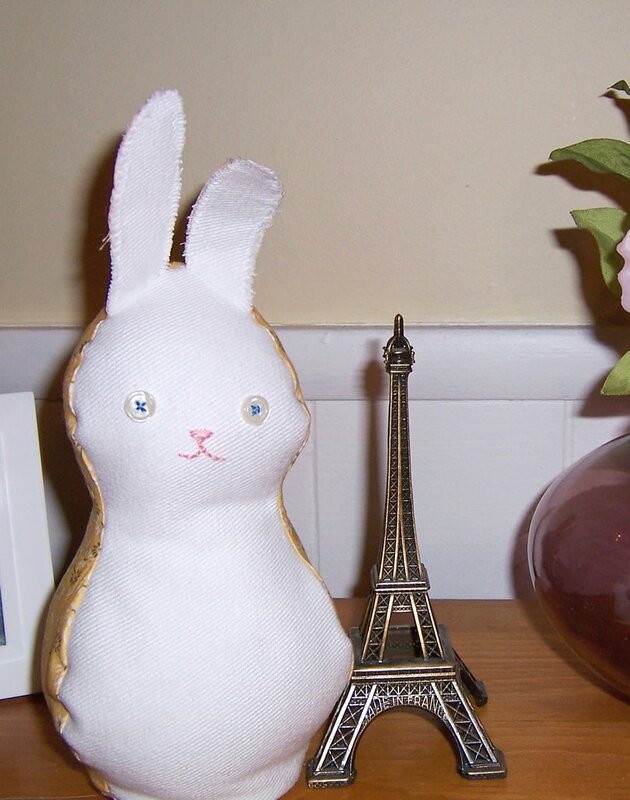 Being the sentimental bunny she is, she enjoys strolling down the boulevards and watching "les Parisiens" from a table at a Cafe, making up stories for the interesting people she sees. "Bridge", as she's known to her close friends, also likes to make time to stop and smell the roses in the "Jardin des Tuileries". She hopes to buy a beret by the end of her trip. Here she is admiring the new "stash enhancement" that came in the mail yesterday. It's actually thanks to that (and a pattern at Wee Wonderfuls) that Bridget is even here today! Of course, she not quite so cosmopolitain as many other bunnies out there, but she's a small town kind of girl, who's drawn to the idea of sophistication. There may be the chance of love for her in the future, as I have plans for a boy bunny too, but you can't put a time table on love. She may soon be finding a new home with a sweet little one this weekend, but only if her "bunny boy" comes along before then, to go to another "little one". She was fun to make (although a little tricky at times, especially the bottom) and I think turned out pretty cute. This is my first ever softie and I'm pretty addicted. It was fast and fun! Here's another look at the new stash fabric. Bridget was made from the yellow of this group, and will her new bunny friend be from the blue? You never know! 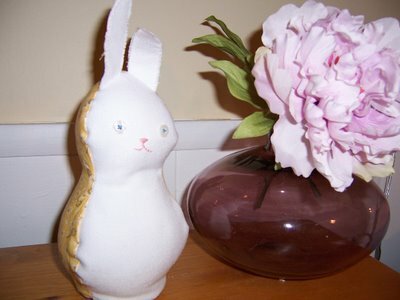 Your wee bunny turned out so cute (err...or shall I say, Bridget?!)! Wasn't it just too fun to make (I recently made a wee bun myself for a wee person this week)? I cannot wait to see Bridget's companion-soon-to-be! 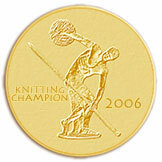 You and I seem to be running on the same wave-length....aka, more sewing, less knitting. There too many projects I'd like to try, all the way around. It's intimidating and frustrating all at once, ykwim. BTW, I am drooling over all your lovely and wonderful stash enhancements. I am expecting some of my own in the mail as I type. i leave comments! but it always says that they are being moderated, and then they never appear. 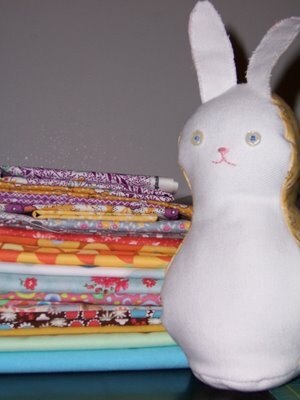 your fabric choices are so adorable.... and i plan to make that bunny.